Poulet Rouge™ chickens (aka redbro cou nu chicken) are a venerable heritage breed renowned for their flavor and their thin skin. Heritage poultry breeds are slower growing than conventional chicken, resulting in a far more delicious bird. These Poulet Rouge™ chickens are raised in North Carolina from Label Rouge breeding stock imported from France. They are fed a strict vegetarian, all-grain diet free from animal byproducts. They live on small family farms in open-sided houses with sunlight, natural ventilation, and access to the outdoors. The shape of a Poulet Rouge™ is significantly different from the chickens you see at the grocery store. Their bodies (and thus their breast meat) and legs are longer and less pudgy. They’re leaner and have a richer, fuller flavor. These birds are hand inspected, selected for premium quality and hand processed before being air chilled. Air chilling (as opposed to the cheaper and more common industrial water chilling) chickens is a more environmentally sound process that generates less waste and further improves the flavor and texture of the bird (water chilled chickens absorb undesirable water during the chilling process). Each Poulet Rouge™ is large enough to provide two hearty servings or four lighter portions. 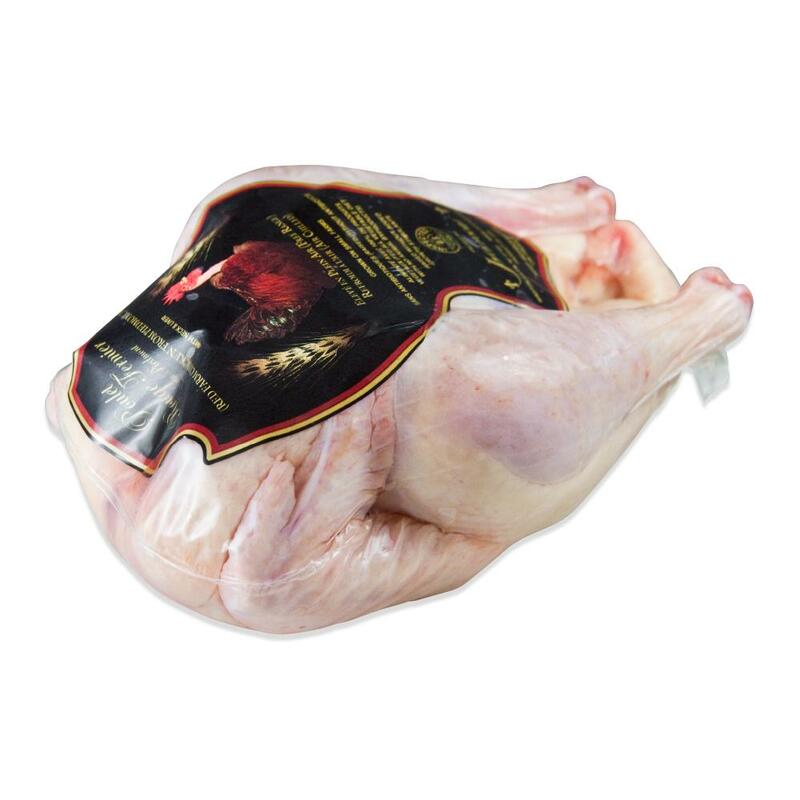 Store Poulet Rouge™ chickens in your freezer until you're ready to use them, then thaw as many as you need. 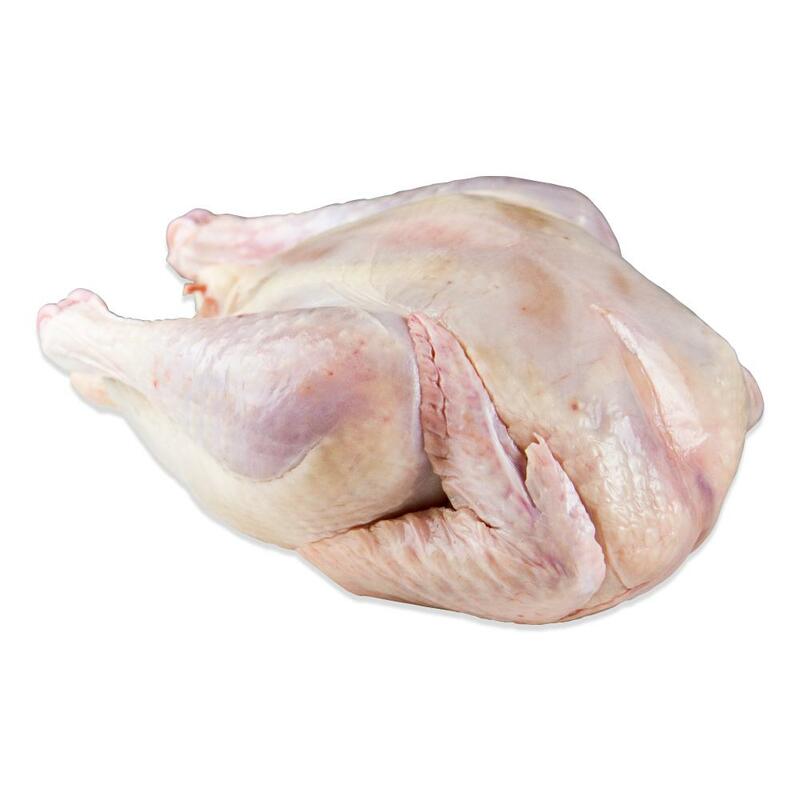 Though they’re longer and leaner than conventional chickens, if desired Poulet Rouge™ chickens can be cut into legs, thighs and breasts using the same technique. See How to Cut Up Poultry for a tutorial. Although it can be substituted for conventional chicken in any dish, the Poulet Rouge™ is prized for its wonderful flavor, so milder preparations are best. We recommend cooking it simply, either roasted whole or cut up and pan-roasted, with butter, herbs, and maybe some fresh wild mushrooms, sunchokes or heirloom potatoes. Preheat your oven to 400 degrees. Oil and lightly season the chicken before placing it in a roasting pan with a rack, breast side down. Roast the chicken for a half hour this way before turning it over and continuing to roast until cooked through. For extra flavor and moisture before roasting whole poulets, you can brine them (How to Brine Meat & Poultry) or insert plain butter, truffle butter, compound butter (homemade flavored butter) or pestos under their skin. You can impart additional flavor by filling the cavity with fresh herbs, onions, shallots, garlic or citrus fruit. Chicken tastes excellent. Coming from Central Europe it is great to have access to this quality of meat. I made chicken soup, and chicken roast, both dishes were delicious. Absolutely love the quality! Will buy it again. This chicken tastes like the chicken in France: flavorful, and lean, and delicious. I like that the farm uses old-world farming and artisanal methods that respect animal welfare, protect the environment, and produce only the finest quality poultry. My family enjoyed it immensely. I'll definitely order again. The bird tasted okay, but after looking at the company’s website I was disappointed to see that they are only on pasture for half of their life, the rest is inside a building. They are also fed conventional corn and soy, probably containing GMOs, and for sure contaminated with chemical pesticides.